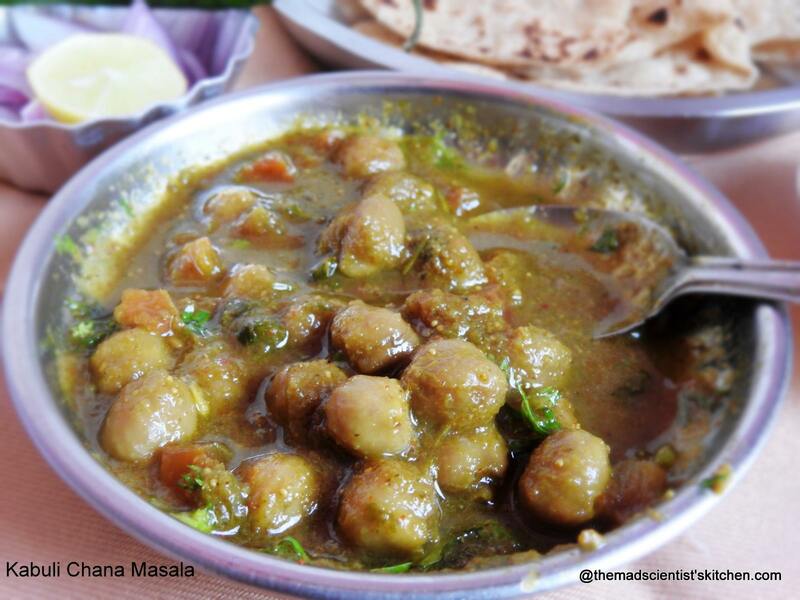 Chole masala is also known as Kabuli Chana is a delicious and spicy protein filled gravy from Punjab. 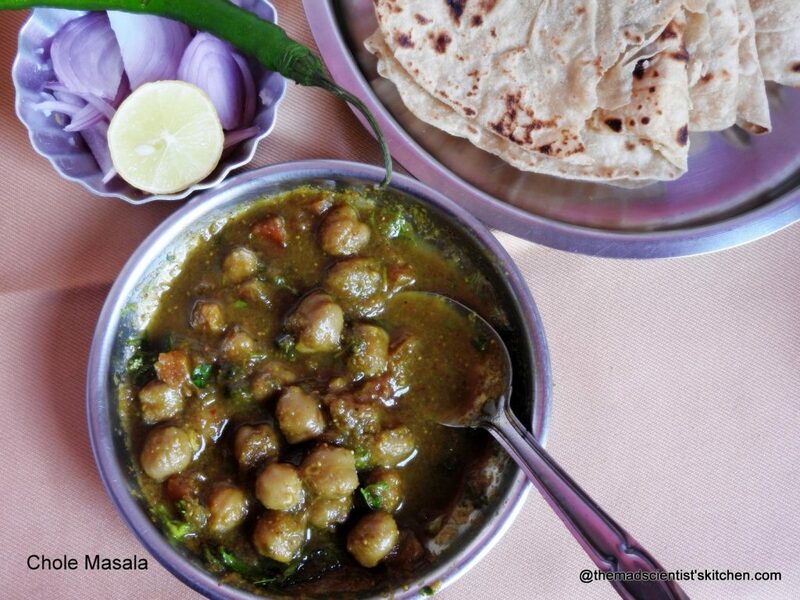 Chole Masala is also known as Punjabi Cholay and is enjoyed all around the Indian Subcontinent. If you visit an Indian restaurant one of the dishes on the menu will be chole batura. But you need not have batura or puri with this tasty gravy with roti, chapatti, jeera rice, plain rice or like we have in our parties with pav or sliced bread. This recipe is very dear to me as this was one of the last dishes my mother made for my office potluck. I am grateful to Sabina who insisted that I get the recipe from her and typed it out for us. The main ingredients are chickpeas, onion, chopped tomatoes, coriander seed, garlic, chillies, ginger, dried mango powder (amchur, sometimes spelt “amchoor”) and garam masala. Commonly made Cholay that tastes good and is protein filled. Soak the kabuli chana in water overnight. In the morning add 1 tsp jeera, 1 stick cinnamon and a tea bag in the drained and rinsed kabuli chana. Add salt and a pinch of cooking soda add sufficient water and transfer to a pressure cooker. Cook for 3-4 whistles. Switch off the gas and let the pressure drop naturally. Meanwhile, dry roast on a low flame the khus khus, patri, jeera, badisheep and pepper corns till you get a fragrance. Set aside. Grind the onions, 1 or 2 tomatoes, ginger, garlic, coriander and pudina with the roasted masala. Fry in oil the tejpatta, add ground masala and fry till the oil separates. Add the tomatoes and boiled chana. Add dry mango powder and chole masala. Garnish with chopped coriander and lime. Serve hot. We had it with chapati/rotti. Mom’s version is always so good.. Loving this finger licking chole masala!! I love the Punjabi style chole. Mom’s recipes are the best. Best combo for the Indian breads and a perfect potluck recipe too. We love making the spices for chole. Your looks so tempting. 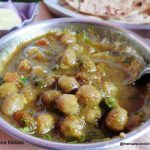 I am very fond of this Punju dish , and have bookmarked this recipe , they look and sound my types , rustic ! A must make ! OMG! I am so tempted looking at that bowl of chole. I used to make bathure along with chole at least once in a month. I love all forms of Choley – and this version and that pic is tempting.. me and the husband like it with Phulkas rather than poori / bhatura 🙂 bookmarked ur version to make it soon ! An all time comfort food. Easy to prepare and everyone loves choley. I like the variety of spices you’ve added. 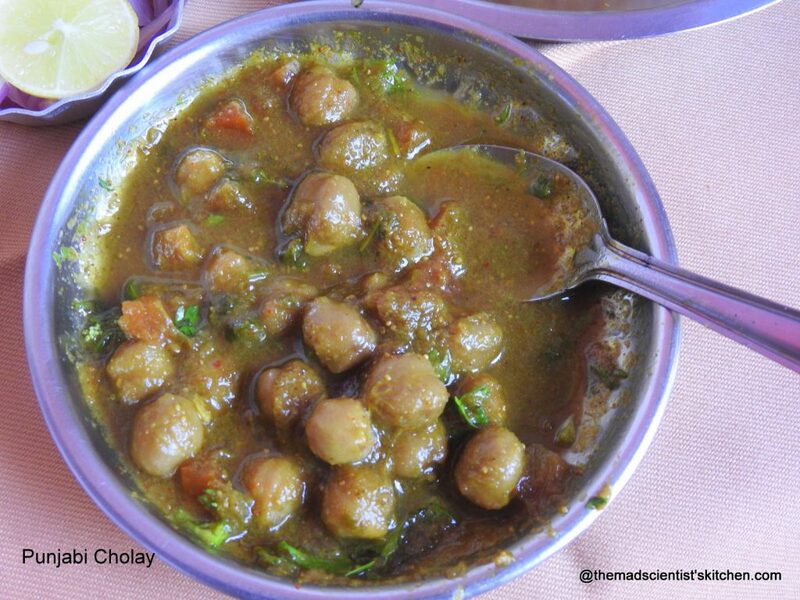 That bowl of chole is inviting me Archana, just need some bhature to clean that bowl, mouthwatering here. This recipe is so dear to me as well. I dont know the reason but i simply luv it. When something remind us of the ones close to our heart, it’s all the more special. Glad you have the written recipe for this. Aaw the famous Punjabi Chole. You have nailed it perfectly..